"The content across our various brands touches the lives of consumers every single day and the affinity for our programming is even more prevalent during the holidays"
LOS GATOS, Calif.--(BUSINESS WIRE)--Roku, Inc. (Nasdaq: ROKU) today announced the company is kicking off its first-ever Stream-a-thon, a week during the holiday season dedicated to delivering a selection of top shows and premium TV to Roku® users for free. 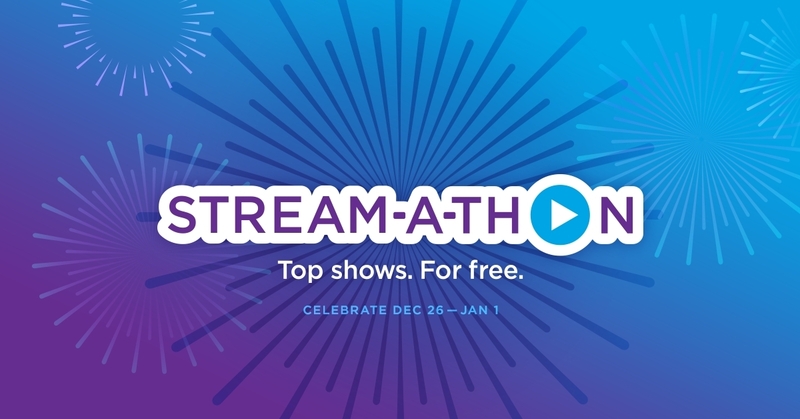 Starting December 26, viewers will be able to watch hand-picked, unauthenticated quality television, including complete seasons and movies from such networks as Acorn TV, Adult Swim, Discovery Channel, EPIX, Food Network, HGTV, Hopster, NBC, TLC, Travel Channel, and more within Featured Free, a section of the Roku home screen offering a wide range of free content from channel partners. Roku customers will be able to easily find and enjoy hundreds of additional episodes from a nearly a dozen streaming channel publishers from December 26, 2018 until January 1, 2019, to celebrate the season of streaming. Premium entertainment such as the first full season of “Deep State” from EPIX will be available to Roku customers. Additionally, select full seasons and episodes of popular shows such as “Agatha Christie’s Witness for the Prosecution” and “Agatha Raisin and the Quiche of Death” (Acorn TV); “Rick and Morty” (Adult Swim); “Storm Chasers” (Discovery); “Diners, Drive-in and Dives” and “Beat Bobby Flay” (Food Network); “Fixer Upper” and “Property Brothers,” (HGTV); “Two Minute Tales” (Hopster); “Making It” and “New Amsterdam” (NBC); “My Big Fat Fabulous Life” (TLC); “Bizarre Foods with Andrew Zimmern” and “Ghost Adventures” (Travel Channel), and more will be available for free for Roku customers to enjoy. In August, Roku announced the launch of “Featured Free,” a new menu item on the home screen that provides Roku users a simple way to find free streaming entertainment on the platform. Featured Free includes the latest in-season episodes of top network shows, full past-season and catch-ups that are free and available to browse in a single experience.